Denyse Woods, winner of the first Florida Keys Flash Fiction contest, says it will probably take her a little while to adjust to writing where Hemingway wrote. Woods is in Key West for the month of July to collect her prize — a residency at The Studios of Key West and the opportunity to write in Ernest Hemingway's studio at the Hemingway Home & Museum. "It'll take me awhile to settle. I'll have to do a lot of thinking in here. Somebody said writing is 90 percent thinking. So I'll do a lot of thinking in here as well and just absorbing," Woods said. "It's kind of overwhelming in a way, that Hemingway wrote in here. So it'll take a few days to work out how it affects how I work." Woods is scheduled to read on July 20 as part of the annual Hemingway Days festival, and she also won a fishing trip as part of a marlin tournament. Writing contests offer all kinds of rewards, but this one may be unique: a residency in Key West, and the opportunity to write in Ernest Hemingway's studio. The first Florida Keys Flash Fiction contest invites writers to submit a work of 500 words or fewer between now and March 31. The winner will be selected by a representative of the Key West Literary Seminar. 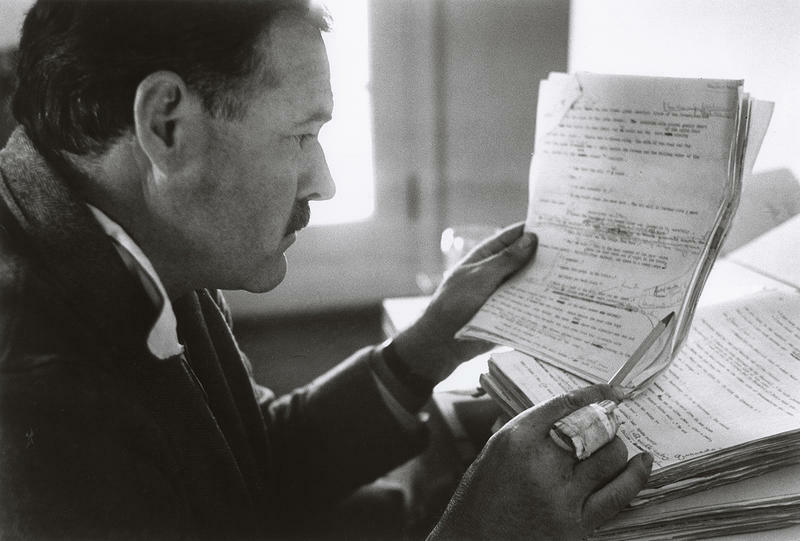 In 1938, Ernest Hemingway made a recording to promote the publication of The Fifth Column, his play about the Spanish Civil War written while he was covering the conflict for American newspapers in 1937. "While I was writing the play, the Hotel Florida, where we lived and worked, was struck by more than 30 high-explosive shells," he said. "So if it is not a good play, perhaps that is what is the matter with it. If it is a good play, perhaps those 30 some shells helped write it."